Team Israel defeated Korea in its first game of the finals of the World Baseball Classic. Israel on Monday in Seoul topped Korea 2-1 in the 10th inning. Team Israel had 8 hits to Korea’s 7 in the hard-fought game. The Israeli team is scheduled to play the team from Chinese Taipei later on Monday, and the Netherlands on Wednesday. This is the first time that the Israeli team has advanced to the quadrennial baseball tournament, in which 16 countries are represented. In 2012, Israel’s inaugural WBC team narrowly missed making the tournament. 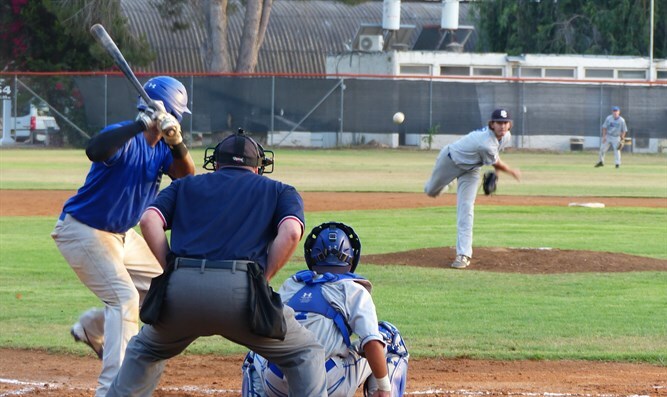 The game marks the first time that American Jewish baseball players, including from Major League Baseball, are representing Israel in a world championship, since World Baseball Classic rules state that players who are eligible for citizenship of a country may play on the country’s team. Israel is the only participant in this year’s tournament not currently among the top 20 in the world rankings; it is ranked 41st in the world. Ten current and former Jewish major leaguers representing Israel in the World Baseball Classic visited Israel in December.